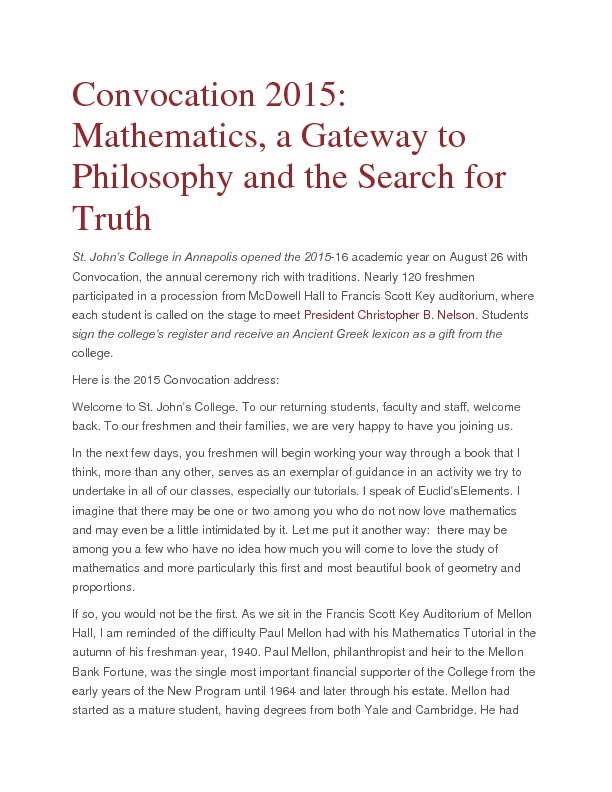 Typescript of the convocation address given by Chris Nelson for the Fall 2015 semester in Annapolis, MD. Entitled "Mathematics, a Gateway to Philosophy and the Search for Truth." Nelson, Christopher B., “Convocation Address, Fall 2015,” St. John's College Digital Archives, accessed April 21, 2019, http://digitalarchives.sjc.edu/items/show/1148.